Honda, Suzuki, Yamaha, Kawasaki — Japan has four globally major motorbike makers; however, motorbike magazines and people related to motorbike business agree unanimously say that motorbikes’ popularity has declined. There are basically two reasons; one is because of amendments to the Road Traffic Law in effect from June 2008, and the other is lack of parking spaces for motorbikes. The number of parking spaces has been gradually increasing, but since the amendments to the law, on-street parking is strictly controlled over, and motorbike owners have difficulty in finding parking places around stations or shopping districts. Also, it is said that the popularity of electric bicycle is related to the decline of motorbike. As a matter of a fact, the last year’s number of electric bicycles shipped exceeded that of motorbikes. 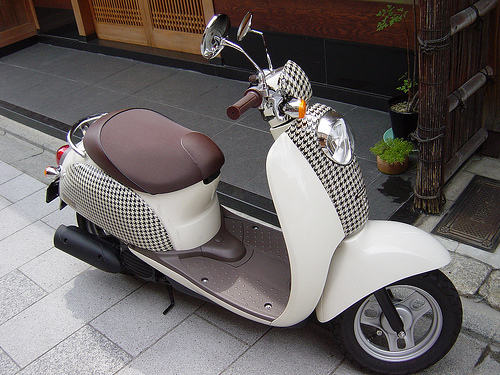 Among variety of motorbike, scooter is considered to be practical here especially for commuting. 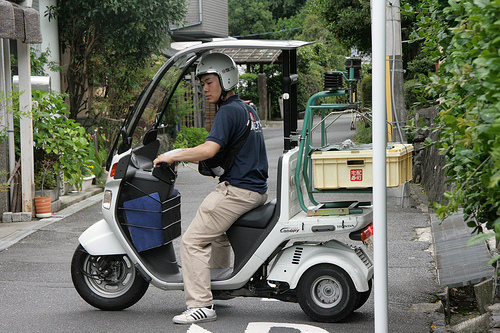 Popular scooters are Honda’s Scoopy (photo above), Today, Dio; Suzuki’s Let’s, Address; and Yamaha’s Jog. 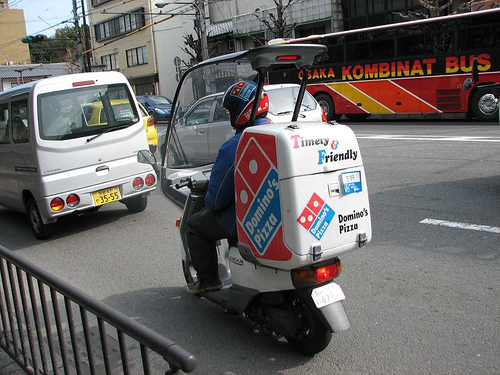 Scooters are often used for businesses. 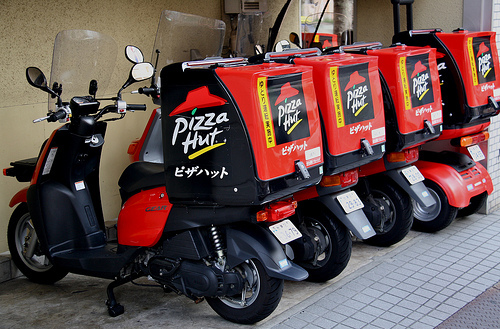 In Japan, you see a lot of delivery scooters on roads.